Barcelona now has a Bookimobile. 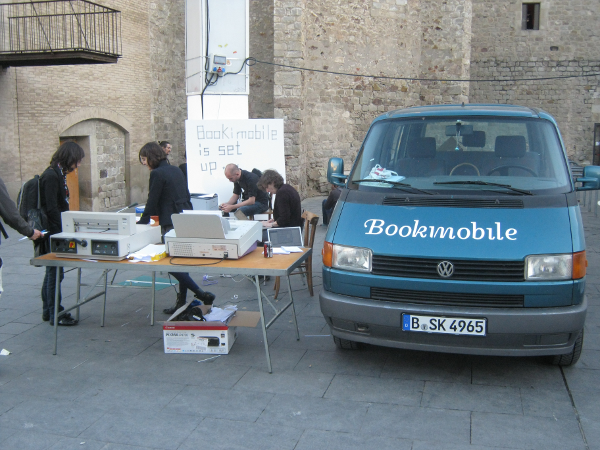 We introduced the new Bookimobile to Spain at the Kosmopolis 11 Literature Festival. We have worked here now for two days doing workshops, helping people produce books produced in Booki, and talking to people about book production. Tomorrow we have workshops and presentations. It has been loads of fun and we made a lot of cool books and also worked a lot making pleigos. Pliego is a small book format that can be made from a single page (folded into 8 or sixteen pages and ripped along the edges to make a book). It is an extremely simple and beautiful format. 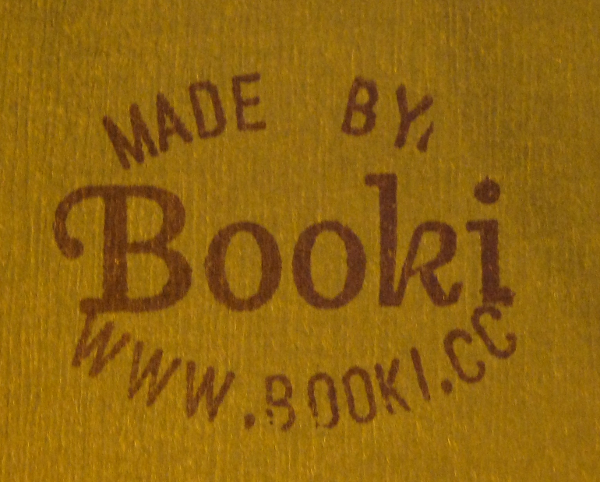 The Bookimobile was designed to take the ideas of Booki to people and make real books that have been created in Booki. It now exists in Berlin and now also in Barcelona. The first Bookimobile (now in Berlin) was based on the Internet Archives Book Mobile. It was also initially sponsored by Mozilla, CiviCRM, Archive.org, Franophonie.org, and iCommons. 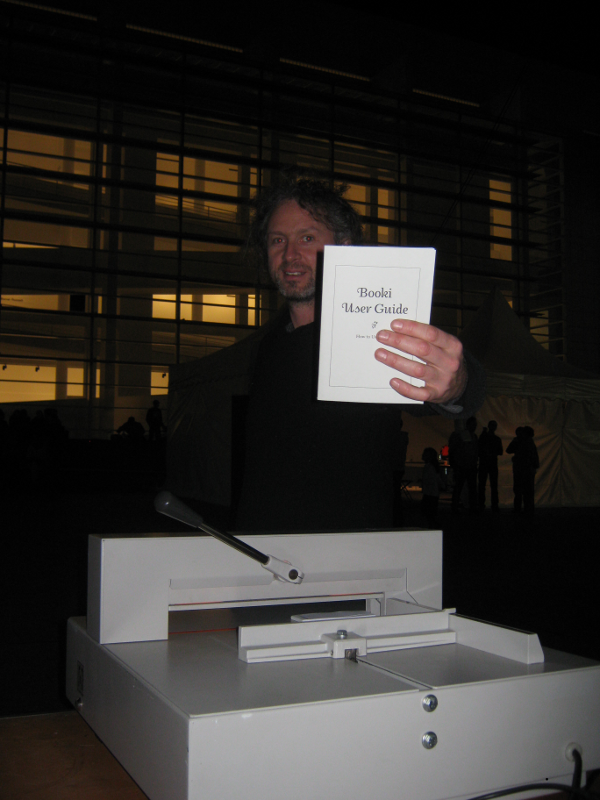 The binder for the Barcelona Bookimobile was donated by Google Summer of Code. Last week the new Bookimobile took to the road. It’s a van that has everything inside to produce books, a mobile book production lab and powered by Booki! With all this, you can make books! 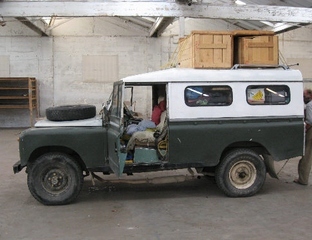 The idea is based on the Internet Archives Book Mobile. We pretty much stole the idea from them (we asked first 😉 and loaded the van with everything needed to make books and drove it on its first outing 2000km from Berlin to Barcelona. It was a long haul. That’s it! Once printed, the procedure takes about 5 minutes and the total cost for a 100-page book is less than a Euro. The books look great! We will document more of this shortly on the blog and talk more about the Bookimobile and the process of producing books. 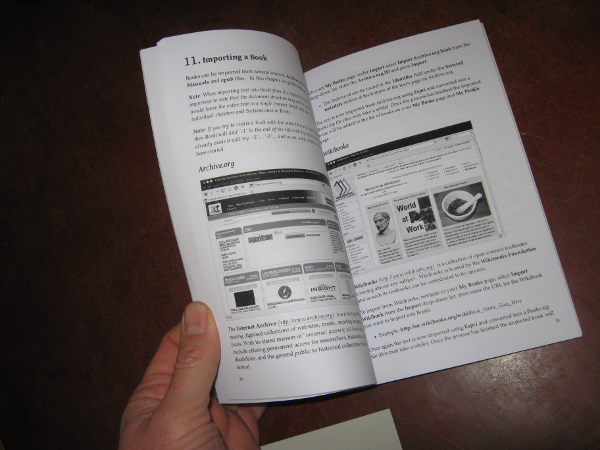 We will also work on Booki to help the production of books using home or office duplex printers. 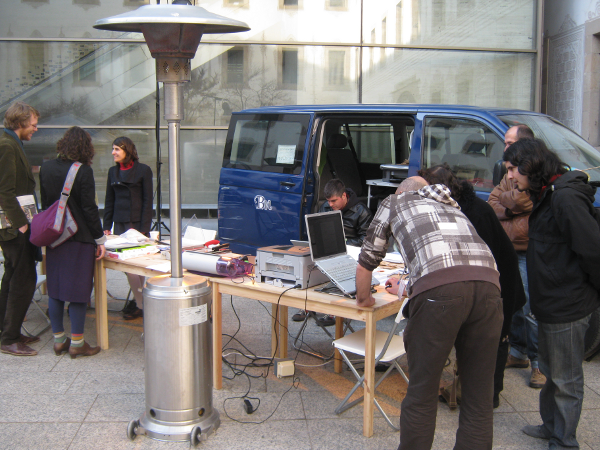 The Bookimobile is sponsored by Organisation Internationale de la Francophonie, Mozilla, iCommons, CiviCRM and the Internet Archive. Many thanks to these organisations for making this possible.